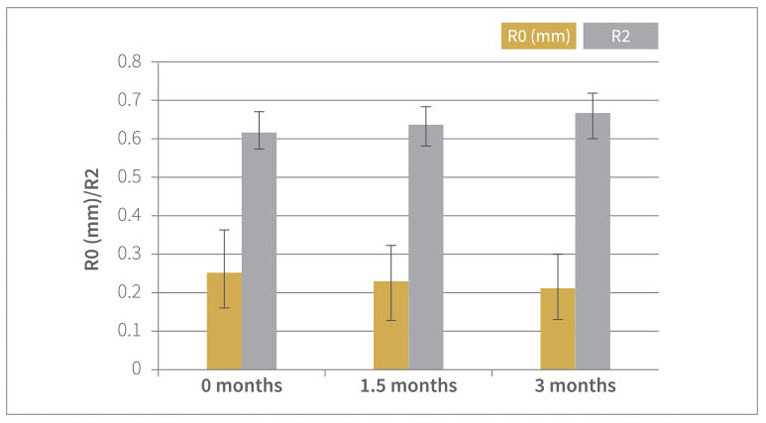 In a clinical trial, women aged 35–65 used lingonberry seed oil capsules for 12 weeks. According to the results, regular use of MIDNATTSOL lingoberry seed oil capsules significantly improves skin hydration, elasticity and density and reduces lines and wrinkles. 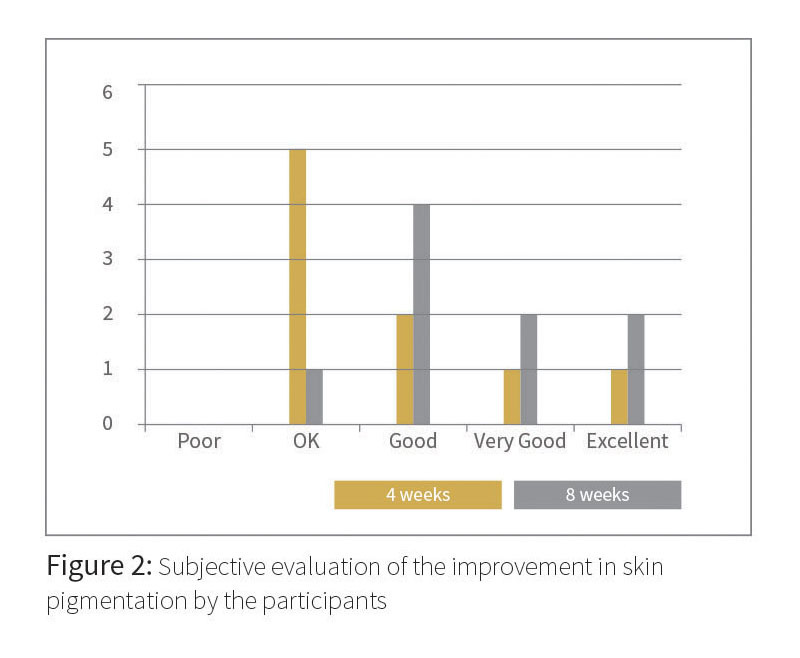 In addition to the clinical results, 93% of participants found the treatment either good or very good, 90% felt that it was effective in improving skin smoothness, and 86% found the treatment to be effective in making the skin more elastic. Figure 1: Hydration of the skin of the face and the forearm. intake of lingonberry seed oil. Figure 2: Elasticity of the skin. 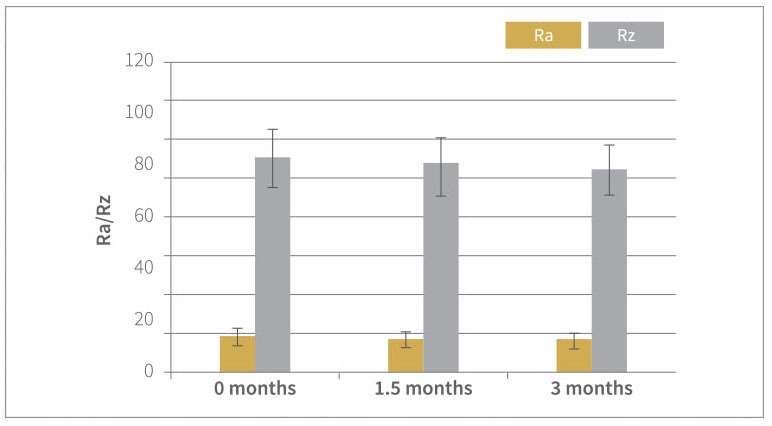 A significant (p<0.05) decrease in RO from baseline to 1.5 months and from baseline to end, and a significant increase in R2 from baseline to end were observed. 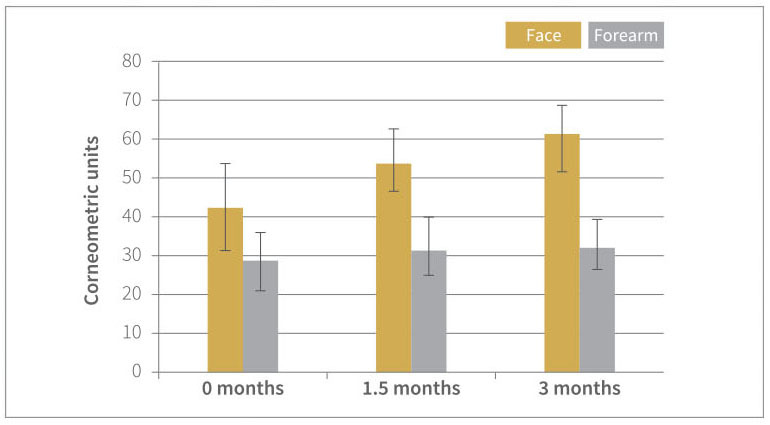 This result indicates improvement in skin elasticity with the tested intake of lingonberry seed oil. Figure 3: Roughness of the skin. a significant decrease was seen already at 1.5 months. The results indicate beneficial effects of lingonberry seed oil supplementation on facial wrinkles. The safety and efficacy of MIDNATTSOL products has been tested and assessed by dermatologists. 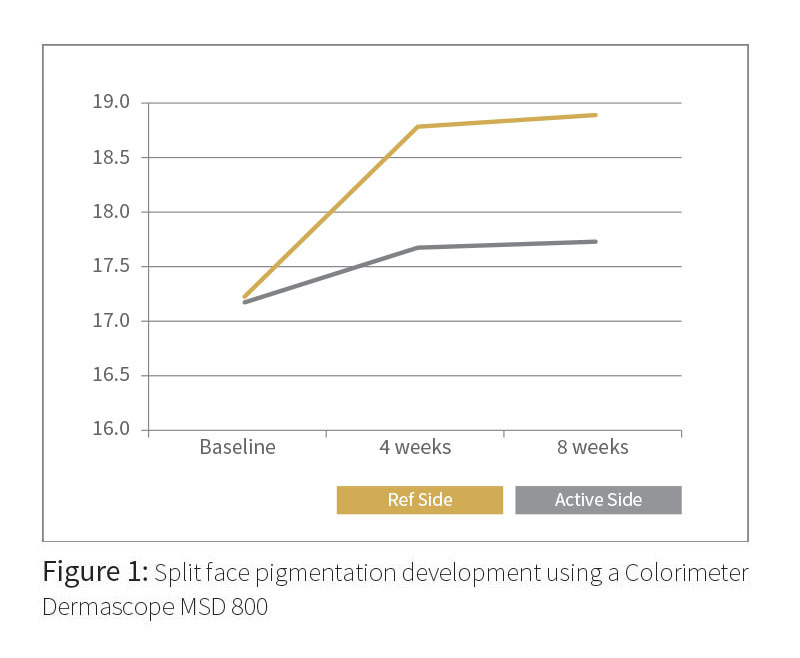 In a controlled study of ten women between the ages of 30 and 60 years, it was found that MIDNATTSOL’s products were safe and that the TYMEDIKER concept controls the pigmentation better than a reference. Scientific studies that support the effect of the active ingredients used are available on request. 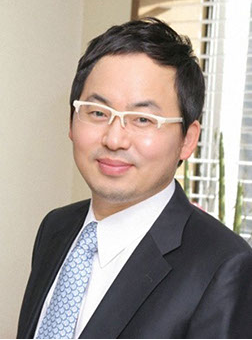 100 people have also empirically evaluated the products with the conslusion they are safe and effective.